Although this uniform is no longer used by the military, boot laces must still be hidden. Combat boots come in two standard heights, six inches and eight inches. 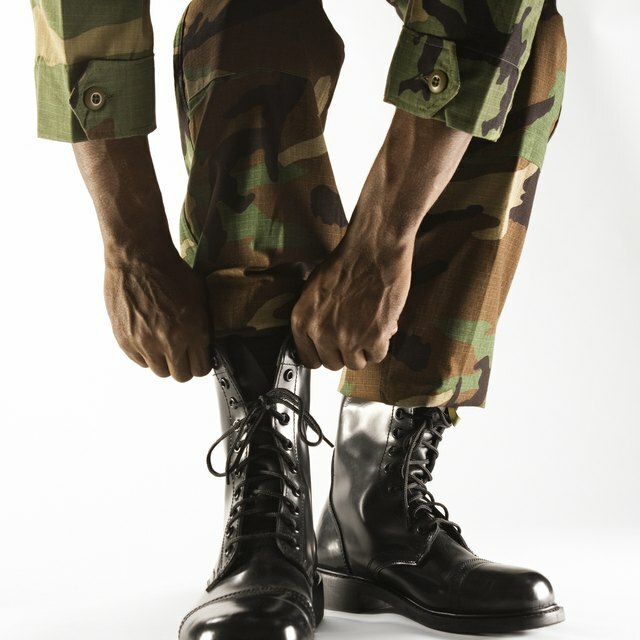 The height of a combat boot is the distance from the top of the sole to the top of the boot. 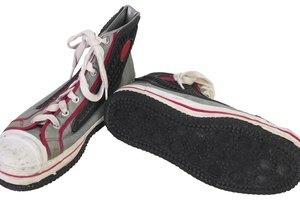 Military regulations mandate that the laces be woven through each eyelet and tied at the top. The excess ends of combat boot laces, according to Army Regulation 670-1, must be hidden from view at all times. Lace and tie your combat boots. Grasp the excess laces, including the loops created from the tie, and tuck them into the top of your boots. A properly bloused pant leg seals off the bottom of the pants. Tuck the top of your pants into your boots or tie the drawstring on the ankle of each pant leg. Pull the extra fabric of your pant leg down to create the ballooned look known as blousing. Blousing your pants over the top of your boots covers the knot in the laces. What Shoes Can You Wear With Skinny Jeans & Leg Warmers? Talent, Eva. "How to Hide the Laces on Combat Boots." 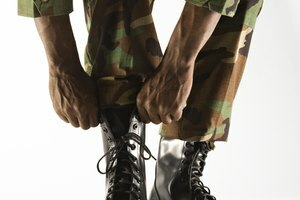 Synonym, https://classroom.synonym.com/how-to-hide-the-laces-on-combat-boots-13583363.html. 04 October 2017.